Moving can be very stressful, whether you are moving a few blocks or to a whole other city. Our conscientious and dedicated staff understands this. TNT Logistics have a team of highly trained personnel that will help alleviate these overbearing stresses. Our customer service focused crews will work hand and hand with you to make sure that each move goes exactly as planned. Our mission is “to provide the best move you will ever have”. This is achieved by taking the necessary steps to ensure your happiness. The amount of care and effort we put into each and every job separates us from the rest. Long distance moves can be extremely strenuous. We want to help carry some of that load; we have some of the best origin and destination crews in the business. Many potential complications can arise with long distance moves. 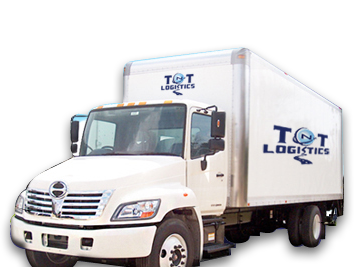 TNT Logistics has added additional services to protect you from these unseen misfortunes. We take pride in providing a seamless transition from point of origin to destination. All members of our staff have been properly trained and given certifications upon the completion of their training course. All items are handled with care and properly loaded into the moving van to ensure the full protection during the entire length of travel. We offer full service packing as well as partial packing services. We have specialized crew members that are certified packers. A full packing service is a great choice if there are any concerns about items being damaged. Our certified packers will line each box with packing paper and wrap each piece individually to ensure full protection. Each box is densely packed to minimize the movement of its contents; this allows each box to arrive in pristine condition and your items undamaged. Contact us today and ask about our full or partial packing services and how they can benefit you. Worried about where to store your items? Look no further, TNT Logistics offer storage for a low monthly fee. As each shipment is received by our warehouse personnel, it is re-inventoried and rewrapped in our moving pads. Each shipment is individually loaded by our trained warehouse staff into separate vaults (units of storage) and properly marked. When move-in date approaches, each vault is carefully loaded into our moving vans and delivered to residence. Give us a call to inquire about our safe and cheap monthly storage. Moving is extremely stressful for pets, it’s a good idea to find a safe place to put them on moving day.